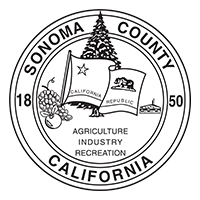 Sonoma Valley Vintners & Growers » Phil Coturri. Winegrower. Guru. Meet the people who have farmed and made wine here for generations. "Great food. Great vistas. Great wine. What else could you ask for?" Little can be said about Phil Coturri that hasn’t been expressed before. For 50 years he’s been at the forefront of Sonoma Valley’s rise to prominence as a world-class winegrowing region. He’s recognized worldwide for his lifelong dedication and advocacy for sustainable agriculture. And then there’s the legendary vineyards he’s farmed, from the storied slopes of Monte Rosso to his own property at the Sixteen 600 Estate Vineyard on Moon Mountain. And so, if it’s all been said before, here’s Phil speaking for himself about his personal history in Sonoma Valley, and what makes his home such a great place to farm for flavors.